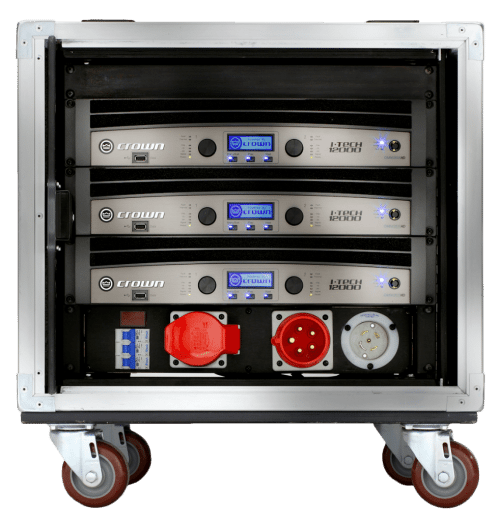 Modern PA System amplifiers contain all of the digital processing that they need to optimize the loud speakers they power. The Crown V Rack and the L’Acoustic LA8 racks are examples of pro audio amplifier racks. We have many Crown V Racks that we use to power our big VTX concert system and our JBL stage monitors, AV Vegas specializes in all types of pro audio sound equipment rentals right here in Las Vegas.